A few days ago, a friend went apple picking with her family and offered us a TON of apples. I’ve been giving them to my kids every day for lunch or snack. Then I decided to make an ice cream topper last night and we all indulged in the sweet treat. The recipe was just a bunch of sugar melting in the oven. It’s not even worth posting – but now I’m going apple picking next week with my family and am going to run into the same problem. What do you do with all those apples??? Well, my FAVORITE quick and easy apple cobbler recipe comes from Katie Lee Joel. I took a cooking class with her a few years back and had her sign her cookbook for me. There are some really amazing recipes in there. I wanted to post it just in case you are in the market for a fabulous dessert. Preheat oven to 325ºF. 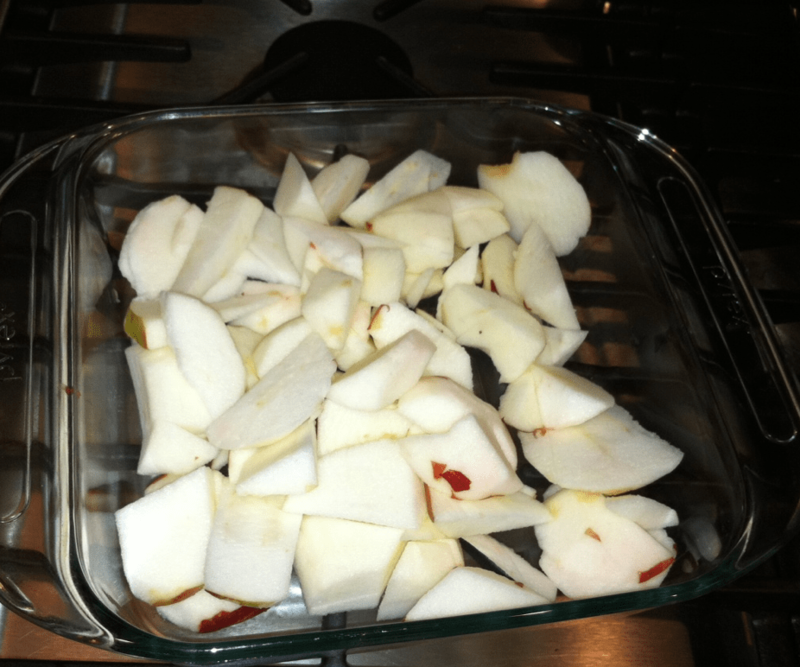 Place the apples in a 9-inch square baking pan. In a medium bowl, mix together ¾ cup of the sugar, the flour, baking powder and ½ tsp. salt. Add the milk and melted butter, and mix well. Pour the batter evenly over apples. In a small bowl, mix the remaining ¼ cup sugar, the cornstarch and ½ tsp. salt. Sprinkle over the batter. Evenly pour the boiling water all over. Bake for 50 minutes, or until golden brown and bubbling. Serve in individual dessert dishes. Katie’s cookbook is called ‘The Comfort Table‘. I think this make a really delicious and healthy desserts~~!